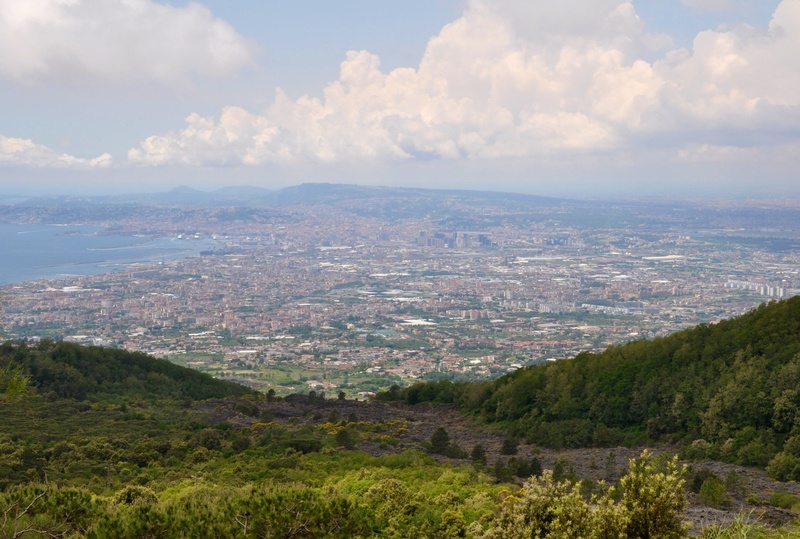 Its top shrouded in cloud, the great hulk of Mount Vesuvius looms over the Bay of Naples, an ever present reminder that the residents of this area could one day face an unimaginable disaster. 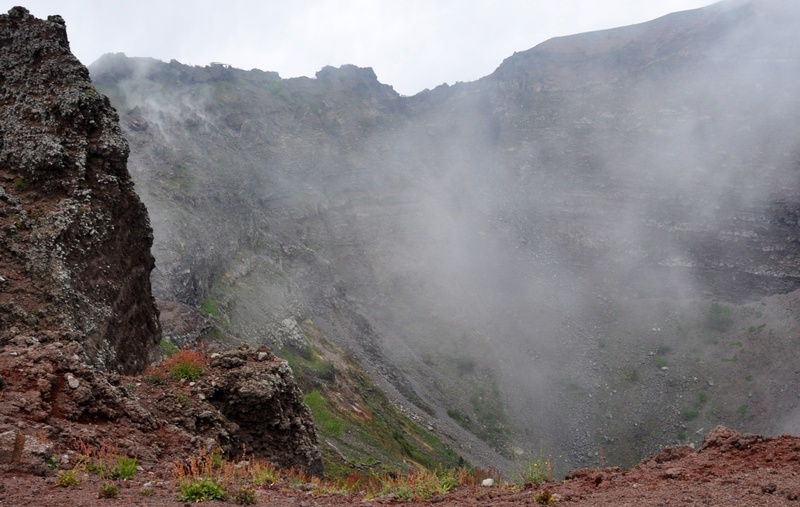 But the last significant eruption of Vesuvius was way back in 1944, and of course, its most famous eruption in AD79 wiped out Pompeii and Herculaneum before they knew what had happened. 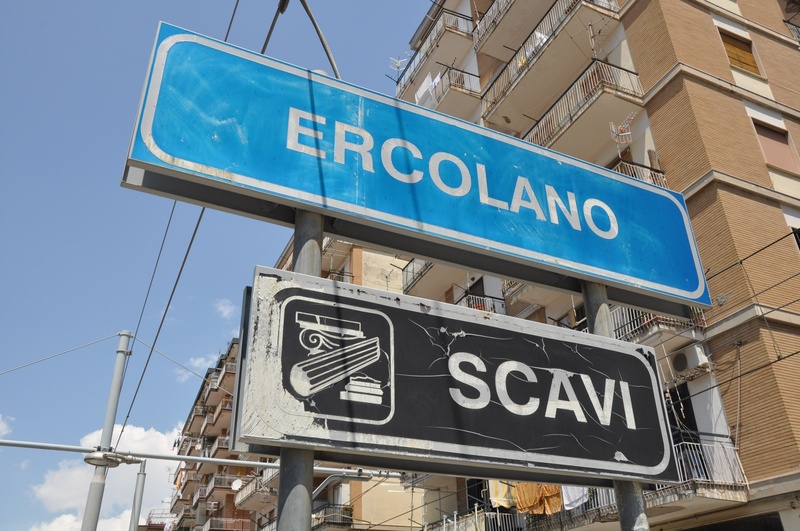 I’d come to Ercolano Scavi station on the Circumvesuviana train from Naples’ Garibaldi station, itself buried under Napoli Centrale, to see for myself what Herculaneum looked like. As I exited the station, a sign advertising Vesuvius trips by bus caught my eye. 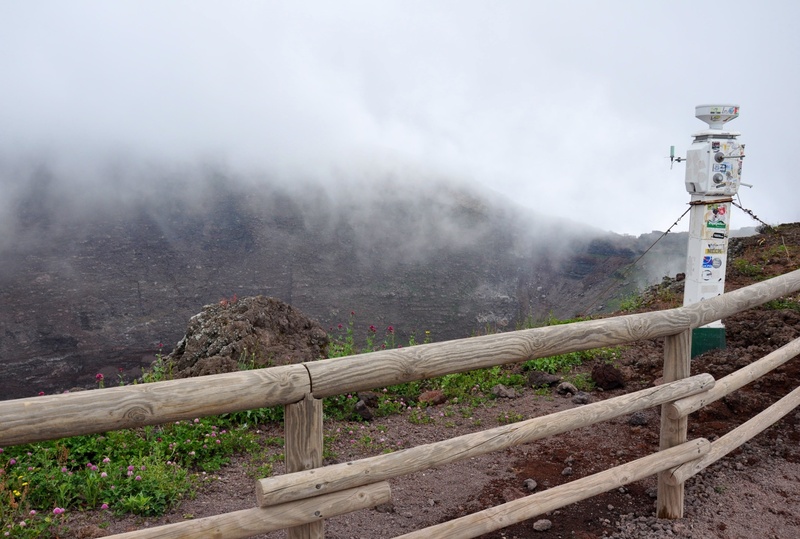 Having spoken to the charming and very helpful Agostino, I was invited to join them as a guest on the next tour and I jumped at the chance to step onto a volcano I’d previously only read about. 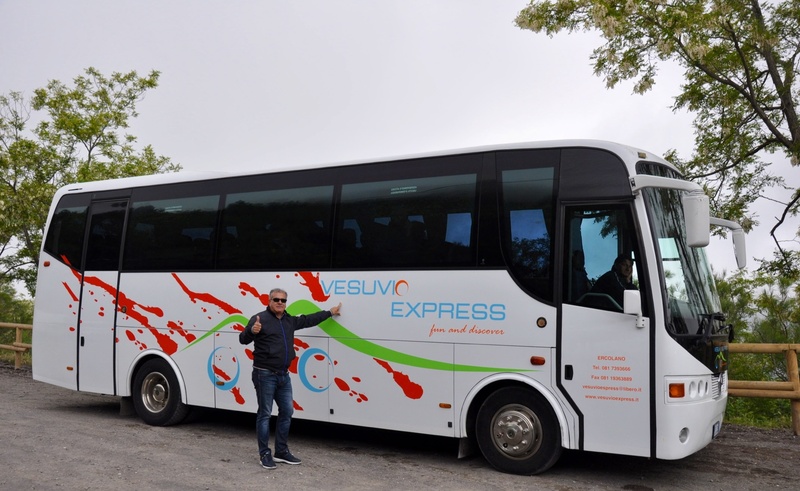 The company, Vesuvio Express, usually operate tours on a very comfortable coach, but as there was extra demand, the company laid on an eight-seater minibus for some of us. It’s worth asking if you are a large party whether they might be able to do this for you. The 15km trip up to the ticketing area, about a kilometre below the crater, took less than half an hour and our accommodating driver paused for us to get some photos of the Bay of Naples, pointing out the island of Capri and lava flows from 1944. At the top, it was a moderately tough climb for someone who lives in flat Essex, but manageable. 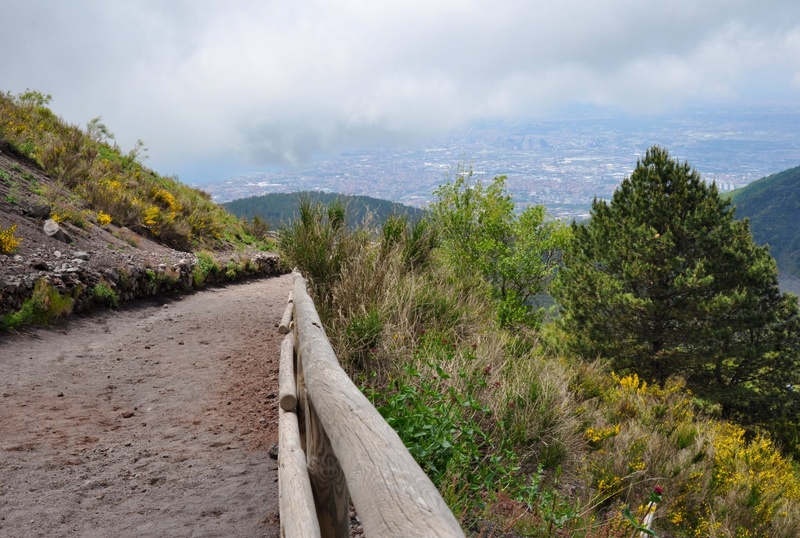 Some people found it easier to hike up with the aid of a wooden stick, bought from someone about to finish their hike for a going rate of a Euro. Don’t be afraid to ask someone to sell one on! Fitter souls would manage the hike in around 15-20 minutes, but it took me just under half an hour to reach the crater rim, having stopped countless times to take photos. 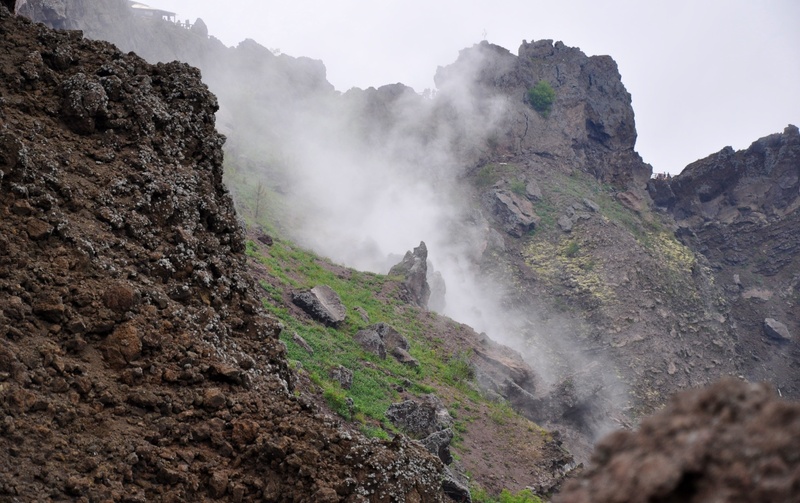 Not surprisingly, this is a volcano that is very closely monitored! 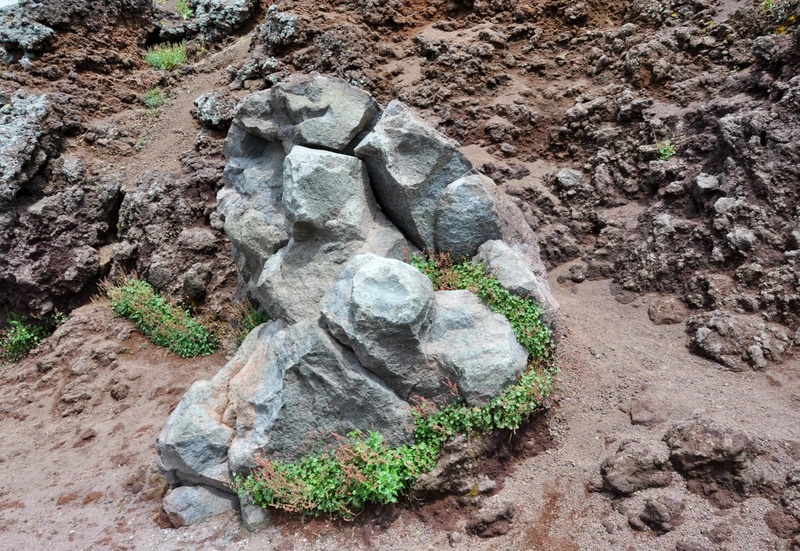 The cloud was low, good hiking weather, though not great for the views back down to the bay, though that made me focus on the closer scenery, such as hardy flowering shrubs and a huge lava bomb by the side of the path. The volcano is impressive, with a large crater that puffs sulphury smoke. You’ll notice the smell of rotten eggs if you get downwind, but it wasn’t too strong. 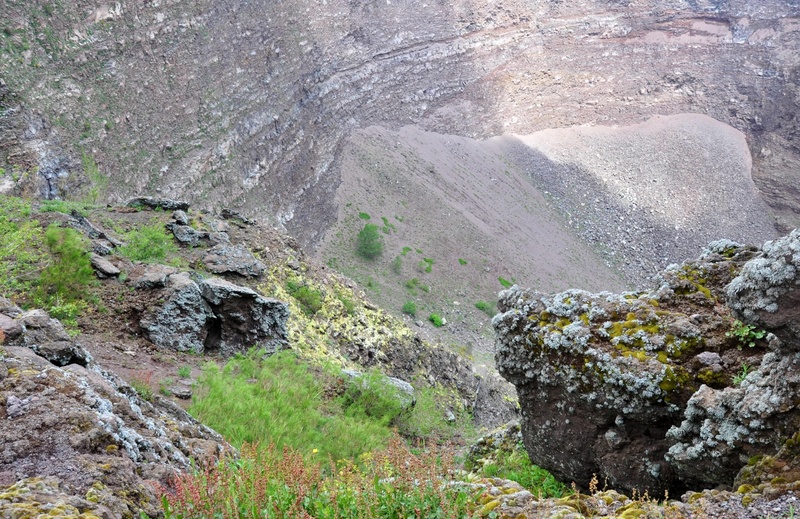 The gravel path alongside the crater leads to some steps; go up these and follow the trail to a second crater for a wow factor end to your climb. Coming down was faster, though I did skid a few times on the gravel. The trouble with a surprise hike is that you aren’t wearing your hiking boots! Vesuvio Express charges just 20 Euros for this fascinating trip, half for the ride up and half for the ticket onto Vesuvius’ high trail. School groups receive a discount. They allow a generous 90 minutes at the top, which is ample time for even slow walkers to have plenty of time to absorb the views. Pre-booking isn’t essential. Tours begin around 9.30am daily and depart approximately every forty minutes. They’ll even store your bags in their office if you need them to. I definitely recommend this as a trip if you’re in the area. This entry was posted on May 26, 2015 by juliamhammond. 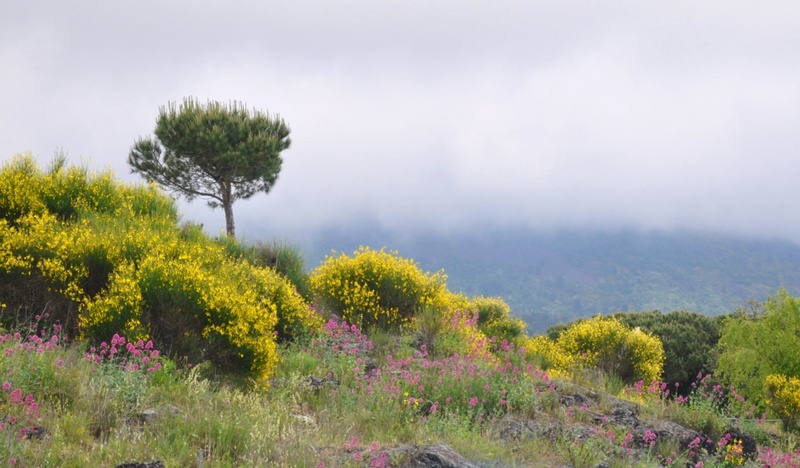 It was filed under Destination information, Europe and was tagged with Circumvesuviana, Hiking, Italy, Vesuvio Express, Vesuvius.